Cloud storage vendor Box has launched a new Skills framework that will deliver intelligence into its enterprise file management solutions. At its BoxWorks 2017 conference in San Francisco this week, Box unveiled a set of 'Skills' powered by IBM Watson, Microsoft Azure and Google Cloud. Box also showcased its Box Skills Kit, which is built with a set of developer resources for designing custom Skills that can enable customers to uncover insights and reimagine business processes that may be difficult to gather manually. "As businesses continue to drive digital transformation, they need to realise more value and intelligence from their content," said Aaron Levie, co-founder and CEO of Box. "Box Skills is a first-of-its-kind framework that will make it possible to digitise almost any business process on Box," he added. The company also unveiled its new Box Graph technology, which is an intelligent network of content, relationships and activity that Box plans to leverage to power new experiences for individual and enterprise users. Read next: Dropbox vs Box: What's the best cloud storage for your business? For example, Box Graph powers something called Feed, a personalised activity feed to gather the most relevant updates, insights and content and present it back to Box users. "Box Skills and Box Graph represent a truly practical application of intelligence for the enterprise, ensuring our customers can realise incredible value from every piece of content they have in Box," said Jeetu Patel, chief product officer at Box. During the showcase, Box delivered a preview of three Box Skills that use machine learning tools from IBM Watson, Microsoft Azure and Google Cloud. These include Audio Intelligence, which uses IBM's Watson technology to show how audio files can be used to create and index a text transcript, which can then be searched. Secondly, Video Intelligence uses Microsoft's Cognitive Services to provide transcription, topic and people detection, so users can quickly access the information needed in a video. 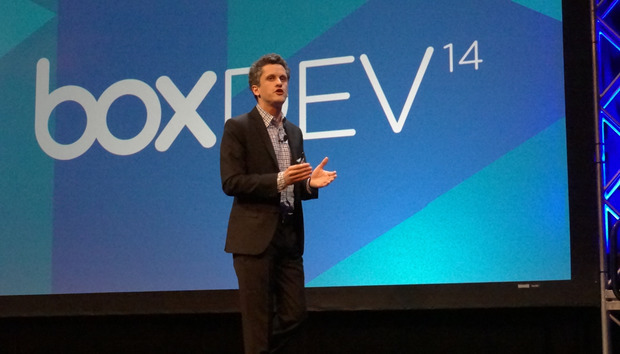 Read next: Box and BT partnership aims to bring more companies to the cloud. Finally, Box also announced Image Intelligence, which uses Google Cloud to detect objects and concepts in images, capturing text using optical character recognition (OCR) and automatically adding labels to images to build metadata on image catalogues. Box Skills Kit enables developers to build their own custom Skills. These can deliver intelligent business processes, leveraging third-party machine learning solutions or training a Skill to handle unique data for a business or industry. Several examples were on show, such as a skill combining IBM Watson's Speech to Text and Natural Language Understanding services to process customer service recordings and either surface priority issues or identify product names to generate either positive or negative customer responses. David Kenny, SVP for IBM's Watson and Cloud Platform, said: "Box Skills is an extension of our strategic partnership with Box aimed at helping businesses work more efficiently, solve challenges and seize opportunities for innovation." Box Skills Kit can be used by cloud service providers, independent software vendors, system integrators and enterprises that may want to create their own custom Skills. Box Skills, Skills Kit for developers, Audio and Video Intelligence are currently under development and are expected to be released for beta in early 2018, with pricing details expected around the same time. The Image Recognition leveraging Google Cloud is already available in beta, whilst Box Graph's Feed will be available for Box users in 2018.